In a X-Ray, What a Feat! TUESDAY Make X-Rays: On black construction paper, trace the children's hands and/or feet with white chalk. Allow the children to draw on the paper with the chalk. Spray with hairspray to "set" the chalk. Do you know the X-RAY Man? Do you know the X-RAY man, the X-RAY man, the X-RAY man? Do you know the X-RAY man He takes pictures of my bones? and likes to X_RAY me. WEDNESDAY Teach all or some of this Jarius' Daughter Gets Well Bible story and activities from Mission Arlington. Provide blankets, pillows, children's robes, etc. so the children can reenact the Bible story. THURSDAY Play with toy Xylophones. I love to play the xylophone. I love to tap on the keys. All the way past Tee. I yoyo all day long. Yellow Pudding Do these Letter X coloring pages. 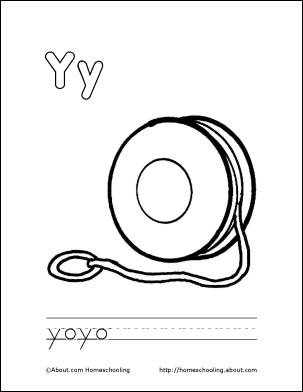 Do this Y is for YoYo color sheet from About.com Homeschooling. 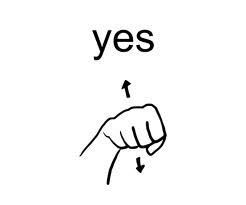 Make this Paper Chinese Yo-Yo. Water Xylophone In six to eight glasses gradually add water to each from a little to the last one close to the rim. Add a bit of food coloring if desired. With new pencils or regular metal spoons show the children how to tap the glasses to hear the different sounds that are produced. The glasses with more water will produce a lower pitch, and those with less water will produce a higher pitch sound.